On January 31, 2012, an Oregon federal judge certified a class of commercial fishing vessels owners and fishermen who delivered whiting, groundfish, or shrimp to seafood processors from Ft. Bragg to the Canadian border. The court denied the motion to certify a subclass of whiting fisherman who delivered whiting to onshore seafood processors because the subclass had fewer than 20 members and therefore did not satisfy the numerosity requirement. 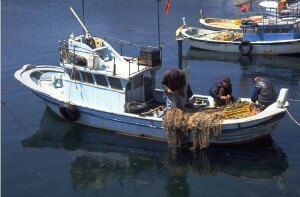 The plaintiffs alleged that defendant Pacific Seafood Group exploited its market power as a wholesale buyer to pay commercial fisherman below market prices for whiting, groundfish, and shrimp. Plaintiffs also alleged that Pacific Seafood conspired with defendant Ocean Gold Seafoods, another seafood processor, to suppress the prices paid to commercial fisherman for whiting.